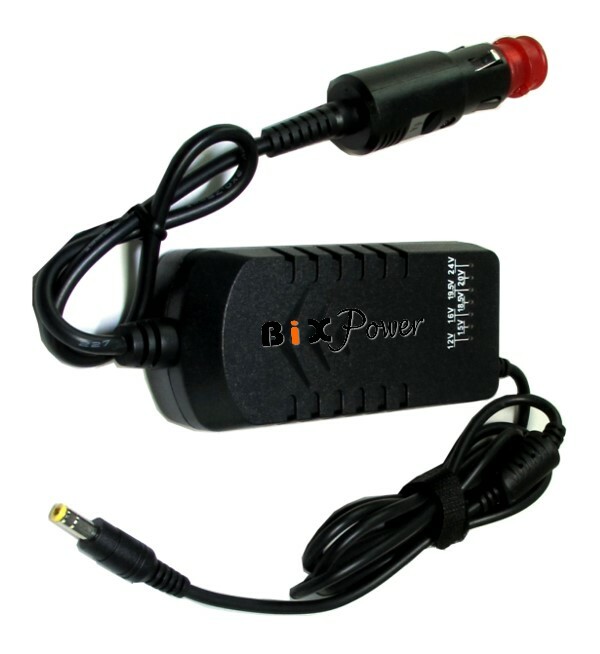 This DC to DC adapter can be used with 12V/24V batteries to provide 12V ~ 24V DC power. 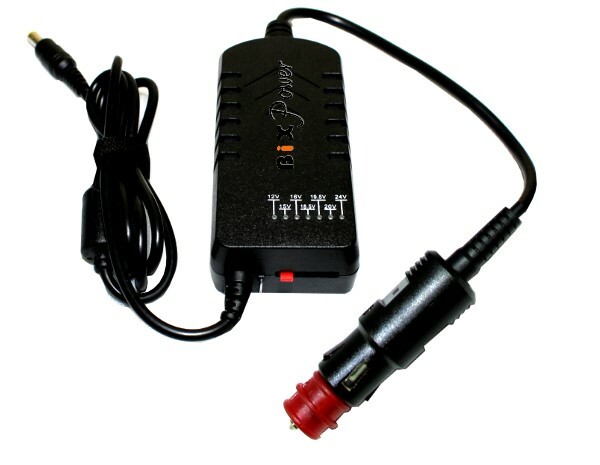 This DC to DC power adapter can convert 12V DC power from a car cigarette lighter socket or 24V DC power from a truck/boat cigarette lighter socket to 12/15/16/18.5/19.5/24v voltage DC output power for laptop/notebook computers, tablet computers or other devices. 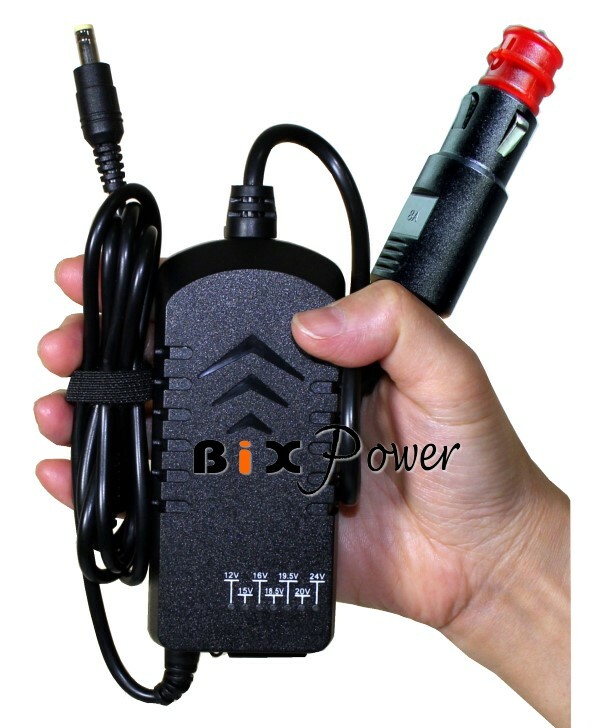 This DC power adapter can be used on vehicles with standard 12V or 24V cigarette lighters (such as cars/trucks and boats) to provide continuous power to your laptop/notebook computers and to recharge batteries. Unlike most power adapters on market, which may only accept 12V ~ 15V DC input, this DC power adapter can accept 10V ~ 30V DC power. 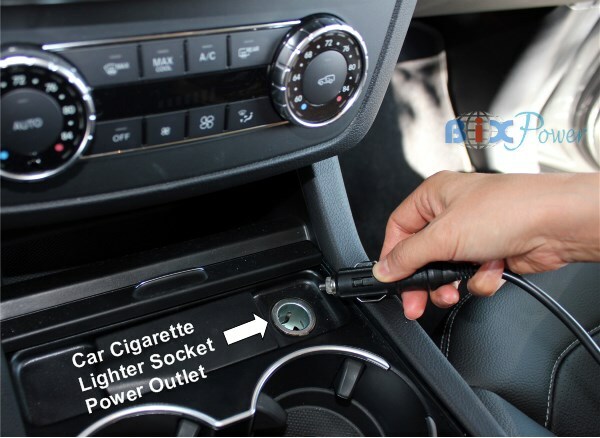 So it can be used for both 12V car cigarette lighter sockets and 24V truck/boat cigarette lighter sockets. 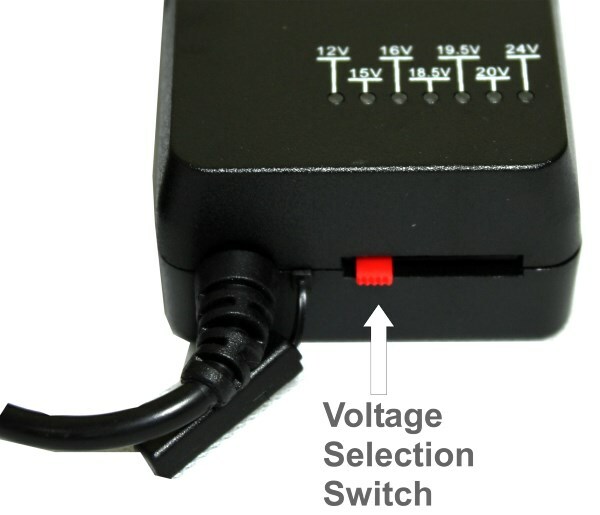 This adapter has an output voltage selection switch on the side. Please refer to the electronic device you are powering to determine correct voltage. It should be marked on the DC input jack. You may also refer to the manual to determine the proper voltage setting. If there is a discrepancy between the battery chart and the setting marked on your electronic devices, ALWAYS select the voltage closest to it. For example, if your laptop DC input requirement is 19.5V, you can set at 19V first. If it does not work, then set at 20V. Caution: Please set the output voltage before connecting power adapter to input & output. If you need to change the output voltage, please disconnect the power adapter from both input & output first. 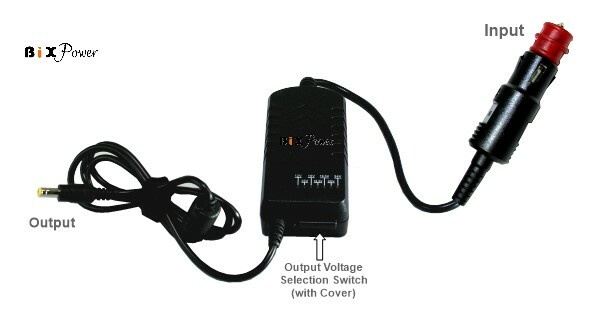 Do not change the output voltage when the power adapter is connected to input power source or output device. If the power adapter stops working, disconnect it from both input and output, check if there is anything wrong with the device or the connection. Over Load Protection (Over current & Over Voltage Protection) *	: Yes. Auto recovery time: 10 seconds. 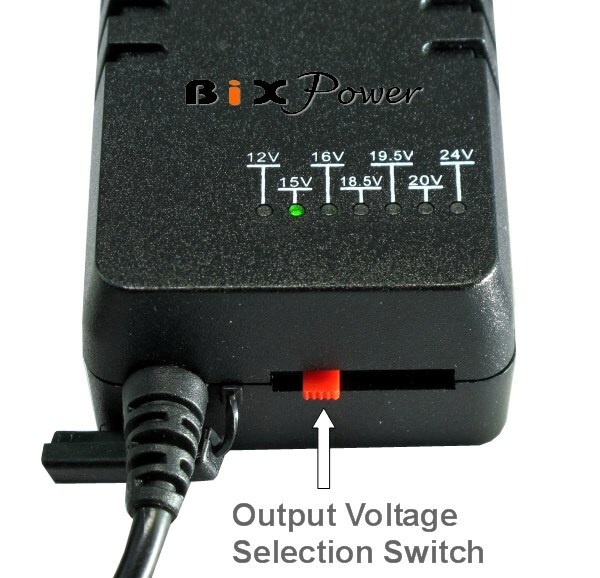 If the 5.5x2.5mm connector does not fit your device, you may order optional BiXPower C series connector tips to change it to many different size connectors. Standard package does not come with any interchangeable connector tips. Extra connector tips are optional for purchasing with some extra charges.